Crystal Lotus is a sign of harmony, peace, wholesomeness and purity. It is also called as “LianHua”. According to Feng Shui specialists, this flower is said to replace negative energy with positive energy or chi, clearing the mind and resulting clarity to attain enlightenment. 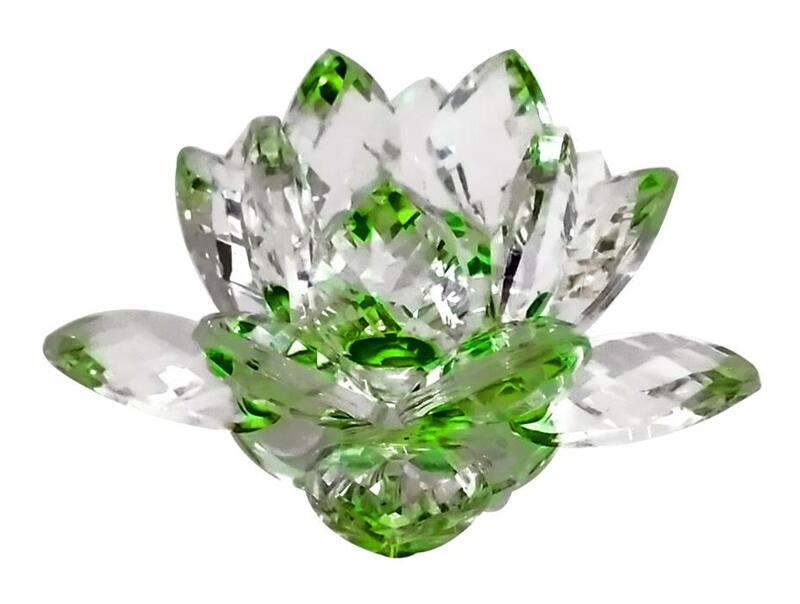 The Crystal lotus flower is one of the most used symbols by people to correct imbalances in Vastu and Feng Shui. This is the best Feng Shui symbol to emit positive energy in the surroundings. Traditionally associated with the Goddess of wealth, Laxmi, This is one of the most potent activators of good fortune, wealth and prosperity. This crystal lotus flower comes with a base which is attached in such a way that you can rotate the flower by simply pushing it with your fingers. You can place this crystal lotus on your car dashboard also. Sign of peace, harmony and wholesomeness. Replace negative wnergy with positive energy. Helps to clear the mind and attain enlightenment. Correct imbalances in vastu and feng shui.